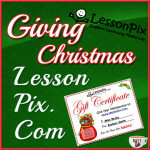 I will be doing a full review of this app in the future, but the developer has been kind enough to offer to give away TEN copies of this normally $10 app, so I wanted to share a few quick thoughts and let you enter to WIN! First, What is an AAC App? Well, it stands for Augmentative and Alternative Communication (AAC) and is generally used for individuals with speech or communication disorders. So a child with autism could use this app on his iPad to help speak for them, or an adult stroke patient could bypass frustration by doing the same. 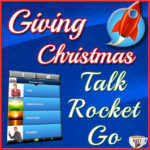 I just shared about another AAC App available called Talk Rocket Go, and while I won’t be sharing all the differences here, I would say that Posco is a simpler AAC App which offers most of the basic functions, while Talk Rocket Go offers advanced features that make it more of an advanced AAC device with the iPad’s full functionality utilized. In this case the difference in cost comes down to the difference in advanced functionality. But the AAC functionality is still a strong component of Posco and I would recommend this for a family who wants to help their child with special needs (or adult with speech limitations) as an intermediate AAC option. My own notes to Bryan, the developer, were that the included pictures weren’t really the ones we would normally want to use with our kids to build speech. But since those images can be edited I think that is a small issue. So what does Posco offer? High contrast and large tile mode to assist users who have trouble seeing or tapping the screen. Remember I’ll be offering a full review on this app soon, but I was impressed with Posco and thought it could really help some families. 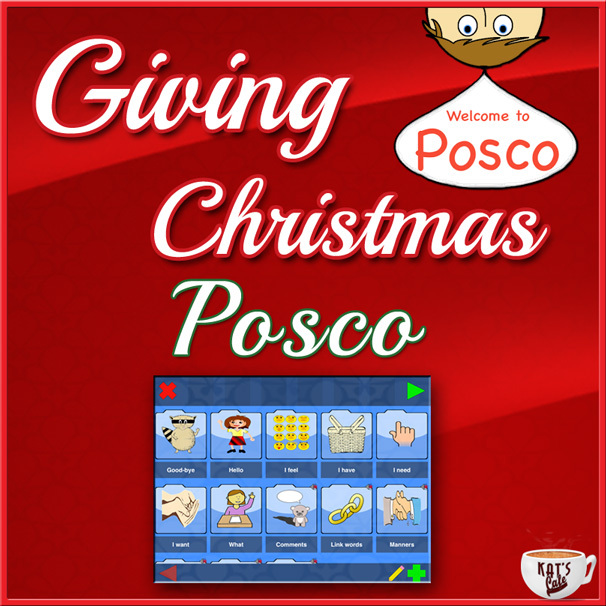 So I am pleased as punch to offer an awesome giveaway for TEN lucky families to have the Posco App for their own family this Christmas!